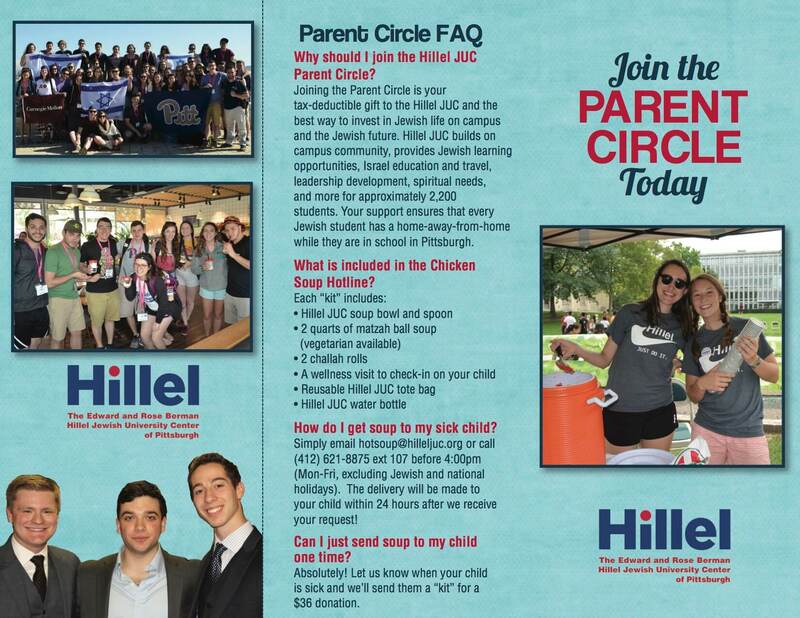 Joining the Parent Circle is your tax-deductible gift to the Hillel JUC and the best way to invest in Jewish life on campus and the Jewish future. 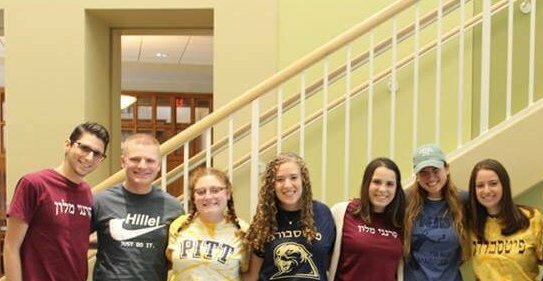 Hillel JUC builds on campus community, provides Jewish learning opportunities, Israel education and travel, leadership development, spiritual needs, and more for approximately 2,500 students. Your support ensures that every Jewish student has a home-away-from-home while they are in school in Pittsburgh. 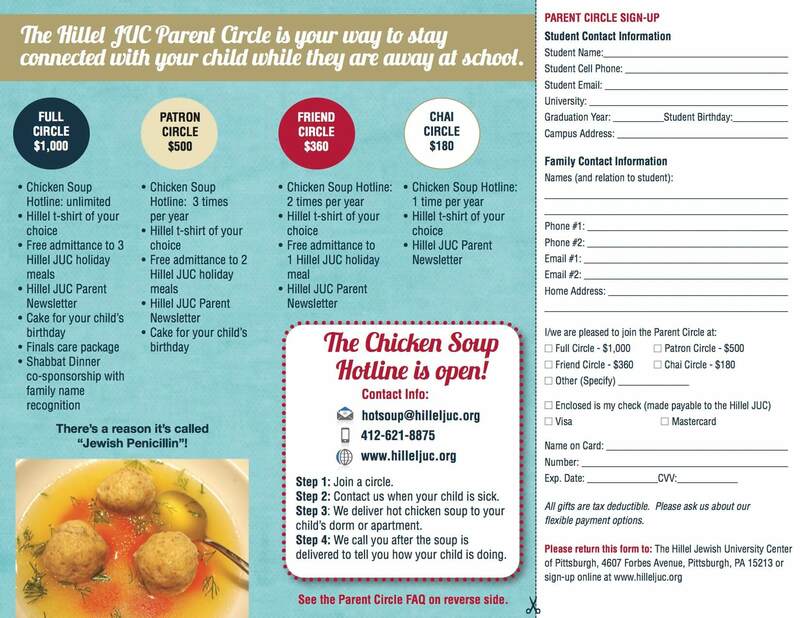 Join the Parent Circle Today!